The songwriter performs a masterfully straightforward set in San Francisco. Sometimes ambiguous is best. 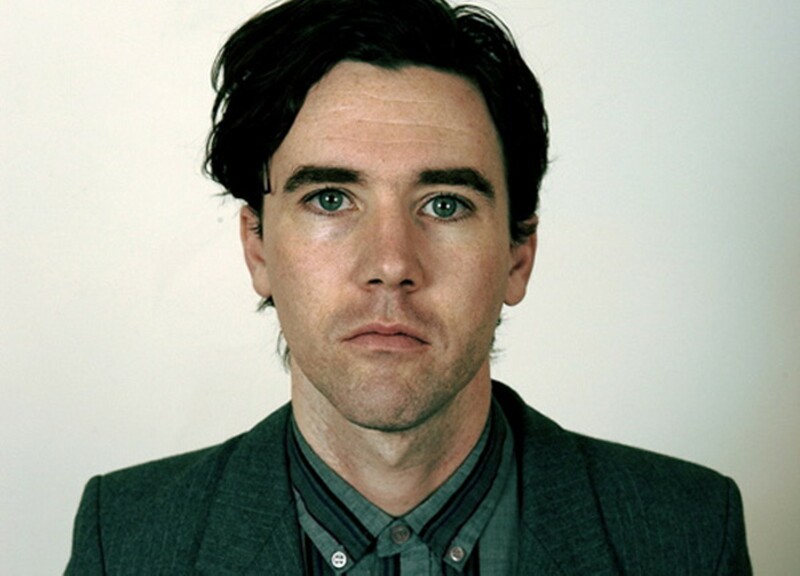 Cass McCombs epitomizes inscrutability, but as he proved Sunday night at the Great American Music Hall, it's not a cover-up. If anything, his enigmatic nature enhances the narratives of his songs and adds to the romance of his music. For anyone who's done at least a little bit of research, it would figure that McCombs would come shrouded, at arm's length from his fans. This is the guy who supposedly lives out of his Toyota Corolla, after all. When it came time to release Wit's End this spring, his label, Domino Records, was obliged to hire a "private-eye" — i.e., surveillance photographer — just to get some promo shots for the new album. His fans don't even know exactly where he's from, short of "Northern California." So what's to be expected for a live show, the only time when he literally can't escape the spotlight? Well, he found an artful way to do exactly that. After the crowd was baffled by the sort-of meditative, sort-of bizarre one-woman opener, longtime McCombs collaborator White Magic (serious Lord of the Rings vibes), the stage lights went down. That's normal, and everybody just expected them to come back on when McCombs arrived. Half an hour later, the whole backdrop of the stage lit up with (as I later learned) nearly fourteen thousand individual incandescent bulbs, mounted in huge slabs of foam insulation. Someone yelled "Christmas!" The stage lights stayed down, leaving the five band members in an intimate silhouette for the entire performance. The light show, which probably used enough electricity to power the whole venue, glistened behind them, each individual light shimmering at odd intervals to the music. It's easy to gush about this set piece, because it became an integral part of the show. In terms of stage presence, McCombs walked a fine line between being aloof and enthusiastic. He only stopped and talked to the crowd a couple times — once to ask how everyone was doing, and later to question our engagement: "You're awfully quiet, I was worried," he said. But the crowd's silence wasn't strained; especially considering McCombs' band was only using the sound system at maybe 50 percent volume. Minus the usual concert-going dummies, the dead quiet between each number was dumbfounding. The tone that McCombs' band members set was rare. Despite the quiet, they dug a rich low end out of the venue's subwoofers, with bassist Rob Barbato a particularly strong foundation. Drummer Dan Allaire played elegantly in the pocket, his minimal kit and huge ride cymbals barely mic'ed up at all. Flanked by lap steel (Dan Lead) and electric organ (Will Canzoneri), and picking idly but expertly at his own guitar, McCombs was utterly melting. It follows that his set list was unconventional but professionally crafted. He began with "My Master," a plodding deep cut off one of his earliest albums. He eliminated many of the lyrics, shaving it down to the unsettling lines, I heard your master/spoke with your master/I wonder what for/was it in commerce?/very odd/isn't it/very odd/indeed. The set turned a corner when McCombs switched to organ to play "County Line," the gorgeous and regretful song that would probably qualify as his "single" from earlier this year. The mood only heightened with "The Same Thing," a more driving cut from his second album this year, Humor Risk. It set the scene for what was probably the highlight of the night — a brand new, true-to-form protest song, "Bradley Manning." The tune tells the true story of the Iraq War veteran who will be tried on December 16 for turning over classified information to Wikileaks. McCombs threw himself completely into the ballad, and the nu-folk leftist nuts who made up most of the crowd went wild. The mood stayed upbeat for a few more minutes, with Humor Risk cut "Robin's Egg Blue" and the quirky "Home On The Range." Despite his tendencies toward writing admittedly macabre material, McCombs can get away with sardonic and weird lyrics, like juxtaposing the line I believe in the great spirit with I believe in junk food. Mid-song, audience members were prone to laughing out loud — McCombs' subtle jokes meandered around the crowd, striking different people as funny at different times. Without pausing for applause, McCombs again dove down into the depths, with the despairingly poignant "To Every Man His Chimera." The tune revolves around a haunted main character, Not you again/no, not you/I thought you were killed on your wedding night. The flickering lights suddenly seemed like a frightful gateway rather than a holiday spectacle. The same way McCombs can submerge his listeners in woe, he can also come up for the most refreshing breaths of fresh air. And it was obvious he was aiming to please when the opening chords of "Dream Lover" sounded and the crowd breathed a joyful and relieved sigh. The song is a blatant throwback, overtly sweet and lovey-dovey in that Bobby Darin sort of way, but also philosophically optimistic. McCombs finished with "The Living Word," one of his least heavy songs, leaving folks floating. Instead of making a spectacle of his encore, he quickly gauged audience approval and said outright, "I'll play one more." There was no posturing, no put-on act. For McCombs, a true folklorist, it was all about telling the stories that he came to tell. Black demonstrators in Oakland and Berkeley are taking the reins of a movement and designing their own powerful protests against police violence. But the news media isn't interested. This week we review Sean Hayes, the Darkest Before Dawn compilation, Main Attrakionz, and Satellite High.